Not only is this the best vegan restaurant I’ve been to in Israel, but it’s one of the best restaurants I’ve been to in my entire life. If you haven’t seen the NOT UR AVG EATS 416 YouTube vlog (wearing the ASOS Tall collection) about my entire dining experience, I’m going to save you the reading. Go watch that video! All I’m saying, is that I have never seen a restaurant be as creative with their food as 416 does. Also, they have INCREDIBLE cocktails. This next vegan restaurant is a cute, little Indian restaurant on Ben Yehuda street. The food is so flavorful, if you like spicy you’ll be satisfied with the heat options, and there are so many options! Everything about this place is amazing: the appetizers, main course, desserts, service, decor, and best of all price. Contrary to popular belief, it’s possible to eat vegan on a budget; and DOSA proves me right. Oh and do NOT skip dessert. This beautiful restaurant not only has amazing food, but such great vibes as well. The place is beautifully decorated with an option to sit in its extensive balcony or aroma-filled indoor area. The menu constantly changes because the chef and owners like to spice things up with seasonal produce and new ideas. This place is a cute “outdoorsy” restaurant with so many different options to choose from, you won’t know whee to begin! I’ve been a few times so I’ve tasted a good amount of the menu (you know the drill…go with a bunch of people and share a few dishes). If you’re looking for a healthy and simple brunch place, this is it! You can come for dinner too, but not my dinner vibes. Citizen markets itself as a coffee shop, but the food is too good to just go just for a matcha latte. (YES- MATCHA LATTES IN ISRAEL) I’m going to have to admit, but this restaurant is not fully vegan; they sell a couple products containing dairy. Most of the dishes are vegan, but technically Citizen is “vegan friendly”. This place is my HOME. I’m kinda bff’s with the owners (don’t be jealous it’s okay…just tell them Shir from NOT UR AVG sent you and you’re in heh) and the restaurant is inspired by NYC restaurants (Butcher’s Daughter and Jack’s Wife Freda to be exact). I’ve tasted almost every dish on the menu here because of how much I love their food: the salads are incredible and filling, the matcha and turmeric lattes are mouth watering, and the toasts are so creative and good that it’ll deff reach 600 likes on insta. 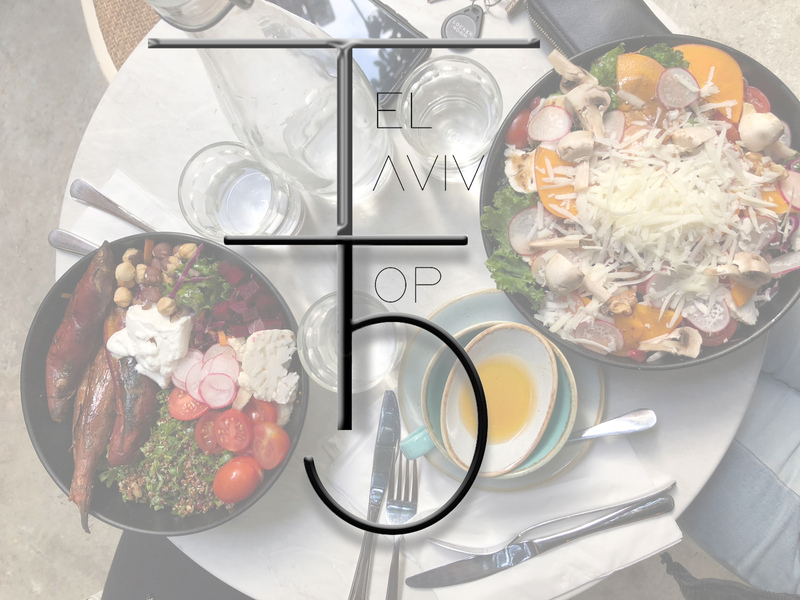 Let me know what you think the next “Tel Aviv Top 5” should be!